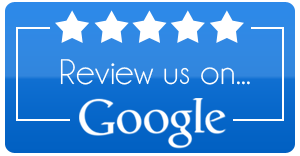 We believe that our patients are the best judges of the quality and service of our dentistry in Danville, Virginia. Read what our patients are saying about us below. Dr. Smith has been my dentist for thirteen years. He has provided excellent service with fillings, root canals, and regular preventative cleanings. In the last several years, I Have experienced dramatic bone loss around my upper teeth. Dr. Smith provided me with options for treatment including odds of success as well as cost. He supported me throughout the lengthy process including seeing me on a holiday for an infection. I trust Dr. Smith's judgement and expertise. I am very pleased with his caring and concern for me as a patient. I have and will continue to recommend him to others. Dr. Smith and his staff have always treated our family with great care. They have always accommodated any need we have and treat us like family when we are there. My husband and I have always been very apprehensive to see a dentist. When it became necessary, through friends we found Dr. Mark Smith. He is so kind, gentle, and made us feel very comfortable. Now, we actually enjoy going to the dentist! I recently had a procedure done and I love the results. We highly recommend Dr. Mark Smith to everyone. - Ed and Carol R.
Dr. Mark Smith and staff are very friendly, professional, and live up to their name of gentle dentistry. Dr. Smith uses state of the art technology to diagnose, treat, and educate his patients. His calm and friendly demeanor puts his patients at ease and his clinical expertise ensures positive outcomes. Being a patient of Dr. Mark Smith for 35 years or more, says a lot for Dr. Smith. Dr. Smith has and still is more than my dentist. He is my friend to me and my entire family. Dr. Smith has a great personality and treats people like he wants to be treated. All in all he is a great person. As a fellow doctor, I truly cannot recommend Dr. Smith highly enough. I have traveled extensively for my work and have thus seen dozens of other dentists who pale in comparison. He documents every single aspect of every tooth and has a kinder bedside manner than most of my colleagues could dream of. I now live hours away, but will likely still travel for my bi-annual appointments. Do yourself (and your oral health) a favor by booking an appointment with this excellent dentist! I've known Dr. Mark Smith for almost 50 years and have been a patient of his all my adult life. He and his staff have always been efficient from scheduling to comfort. Dr. Smith is very "in tune with" patients dental history and total oral hygiene. He has even met me at his office during emergency situations to correct an issue.